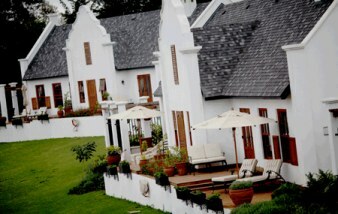 Sal Salinero Villa - Within the city limits of Moshi, it just doesn't get any better then this hotel. Every aspect of the property has been meticulously thought through from its wonderful rooms to the dining room and swimming pool. Walk the grounds and admire the statuary, the koi fish in the fish pond and the sumptuous surroundings in which you're staying. 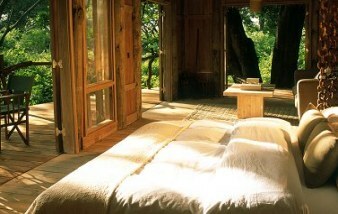 Arusha Coffee Lodge - Arusha Coffee Lodge lies cradled in the endless acres of Tanzania’s largest coffee plantation. This exclusive, boutique hotel lodge has been designed around the farms’ original plantation homes, radiating the warmth and invitation of the old colonial plantation homes historically distinctive to the coffee plantations. 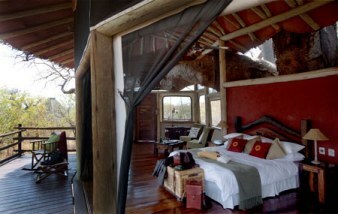 Tarangire Treetops - Our suites are perched high up in the age old Baobab and Marula trees. Astride the path of the Elephant Migration, Tarangire Treetops sits alone in a private game reserve bordering Tarangire National Park and the Maasai Steppe amid rolling, baobab-studded hills with views to Lake Manyara and the Rift Valley wall. 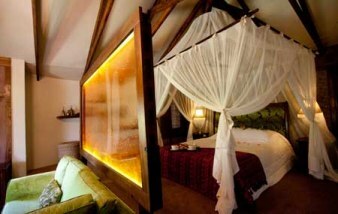 Tarangire Treetops has a magical, adventurous and exotic feel, appealing to the childlike senses of fun and awe. The boutique style lodge, exudes a timeless essence, its majestic trees and the landscape, sparking the imagination to times of yore. 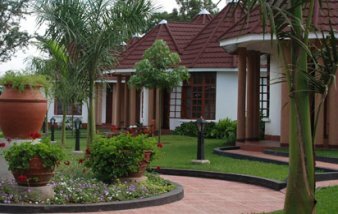 The Manor at Ngorongoro - Located adjacent to the Ngorongoro Conservation Area within the 1500 acre, Shangri-La Estate, The Manor at Ngorongoro is reminiscent of an elegant, up country farm home in the Cape Dutch style of architecture. The Manor at Ngorongoro, with its 20 luxurious guest cottage suites, is a luxury safari experience fusing East African safari hospitality with old world Afro-European architecture, and decor. Lake Manyara Tree Lodge - Cradled in the boughs of an ancient mahogany forest, the lodge blends into the natural beauty of its breathtaking surroundings. Hidden away high in the trees in a secluded corner of the national park, Lake Manyara Tree Lodge offers a sophisticated blend of natural indulgence and romance. Nestled in dense forest between the lakeshore and the steep Rift Valley escarpment, the lodge is perfectly positioned to explore the park’s wealth of habitats. Set in the remote southern region of the park, you would be surprised to see another vehicle on your game drive. Serengeti Bushtops - The exclusive Serengeti Bushtops is a seductive oasis of luxury tents, blending tranquillity and world class comfort with a raw, inspiring landscape, rich in extraordinary game and delivering a lifetime of beautiful memories. The camp consists of 12 luxurious, contemporary tents, including a double family tent consisting of two tents linked by a bridge, each facing the sunset and b oasting 110m² of open-sided living area. 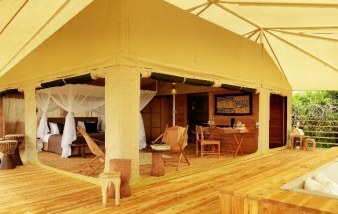 Bedecked with beautiful wooden flooring, the tents host lavish facilities including en suite shower area, large private terrace, private hot tub, 24-hour butler service and 24-hour power supply.